Today is the start of the Euro 2016 football tournament. I have always loved football and look forward to the Euro’s every four years. To celebrate this fact I will try to post about football for the rest of the month. 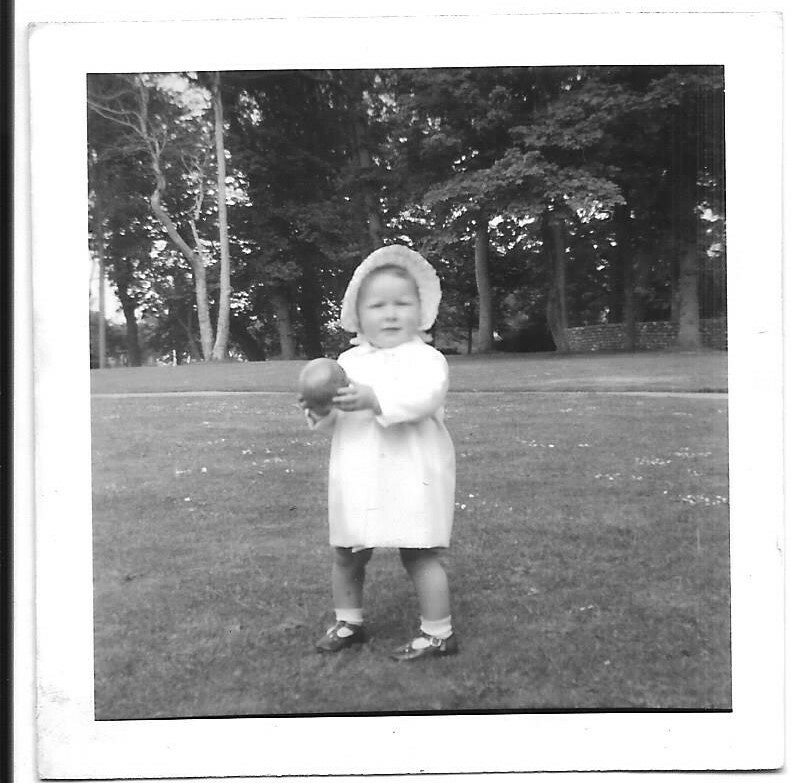 Here is the first photograph I can find of myself with a ball. I am around one year old and enjoying myself in a local park. I’m sure my dad was very proud to capture this image of me, but I’m not sure he quite expected the lifetime of loving football that would grow from it. Good luck England in Euro 2016! This entry was posted in Beginning life in Hove, jackiedinnis, SPORT and tagged Euro 2016, Football. Bookmark the permalink.